XenonHD is a custom firmware aka ROM for various Android devices. It is based on LineageOS 16.0 with additional features, performance and battery life improvements. The idea behind XenonHD is to give users a ROM that is "blazing fast, rock stable and buttery smooth". 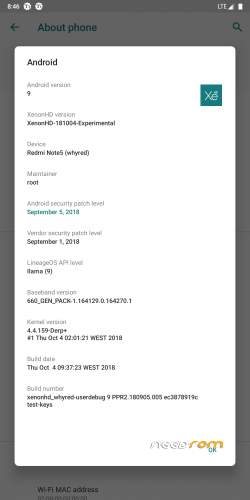 Bootloader needs to be unlocked, TWRP needs to be installed! Do a factory reset first! You need to install GAPPS seperated – IS NOT INCLUDED!